McCormick has contributed to writing the history of agricultural mechanization. 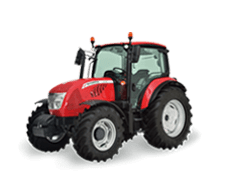 A history that continues today with Argo Tractors, an international group of companies that makes technology innovation and quality the focus of its daily activities. 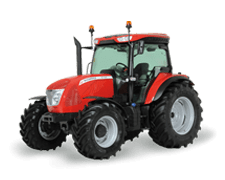 This ongoing commitment has led Argo Tractors engineers to develop a truly innovative range of highperformance utility tractors that has no equal for versatility, simplicity, reliability and comfort. 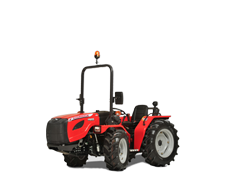 The McCormick X6 sets a new milestone in compact tractors for field work. 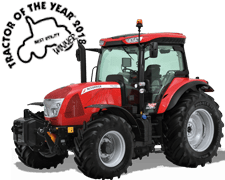 Designed with versatility in mind, the X6 tractor will handle a variety of tasks, from field operations such as soil preparation, sowing and haymaking to barn management activities, with ease and in complete safety. Engineered and built to carry out all daily tasks in the farm with total reliability and maximum comfort, the X6 tractor is the perfect choice for medium-scale stand-alone farms that tend to be cautious when it comes to make new investments in their vehicle fleet. 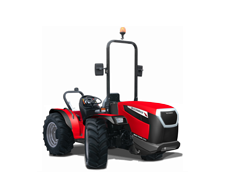 The X6 tractor is highly versatile and completely customizable to meet farmers’ specific needs. 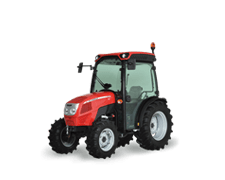 Tractor key features include: - A four-post cab with ergonomically-positioned controls for maximum ease of operation and a transparent roof hatch providing extra visibility for front loader operations. The low-profile roof allows easier access to low-ceiling barns and sheds. 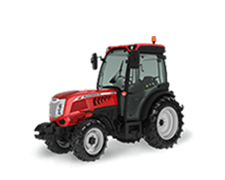 The X6 tractor can be optionally equipped with a satellitebased guidance system and an ISOBUS terminal to maximize productivity and profitability. - New Deutz AG 3.6L engines with power ratings of up to 126 hp. These engines meet the Stage4/Tier4 Final emissions regulations using a selective catalytic reduction system (SCR) and a diesel oxidation catalyst (DOC). - The transmission incorporates standard a power shuttle and can be integrated with an Xtrashift three-stage powershift (high, medium, low) and a creeper providing 48 forward and 16 reverse speeds. - A choice of three front axles: two rigid-mounted (wide or narrow), and one with independent suspensions. 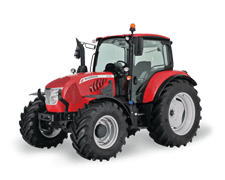 As an option, the tractor can be fitted with 38-inch rear tyres. 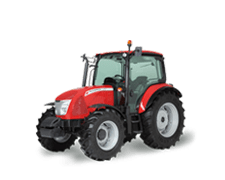 - The four-wheel drive, the differential lock and the PTO, with either two or four speeds, are electro-hydraulically engaged. 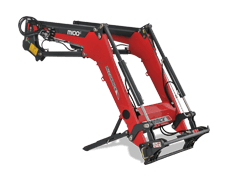 - The open-centre hydraulic system ensures optimum operation of the rear hitch and of up to six remote valves. - Optionally, the X6 can be fitted with a front hitch and PTO system and an M Series front loader. The name McCormick has always stood for innovation. Choosing McCormick means you can count on a reliable partner that gives you state-of-the-art technology and unmatched versatility without compromising on simplicity. 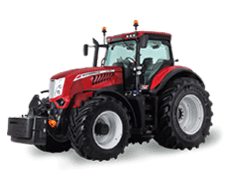 Designed with versatility in mind, the X6 tractor range offers a variety of transmission configurations to respond more effectively to the specific needs of each farm. 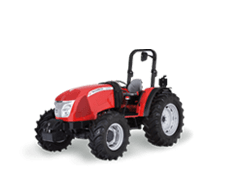 Options available range from a basic 12/12 Speed Four transmission with power shuttle up to an electrohydraulic 48/16 Xtrashift transmission with HML powershift and creeper. The Speed Four transmission with left-hand steeringcolumn power shuttle offers four synchronized speeds and three ranges providing 12 forward and 12 reverse gears. A creep speed option offers 16 forward and 16 reverse gears with speeds as low as 310 m/h. 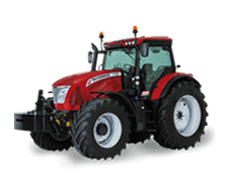 The Xtrashift transmission triples the 12 gears of the Speed Four transmission providing 36 forward and 12 reverse speeds for maximum efficiency in the field and on the road. 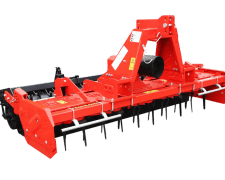 An optional creeper provides up to 48 forward and 16 reverse gears and allows speeds as low as 310 m/h. 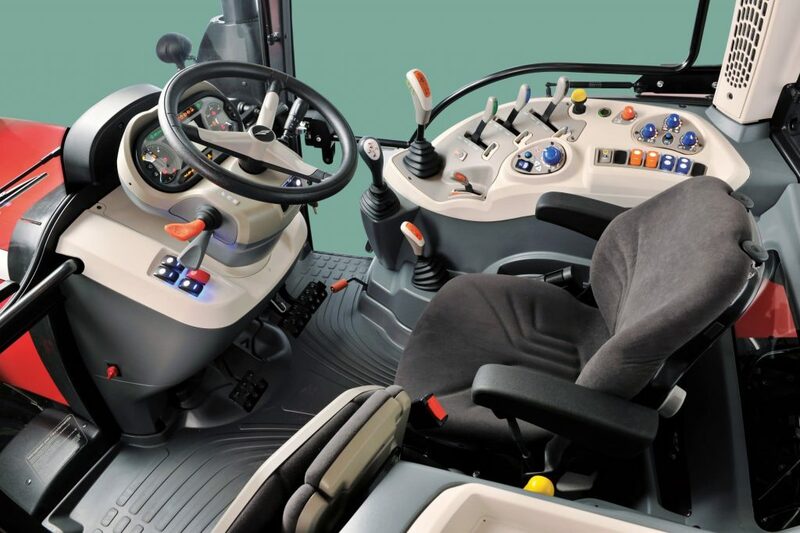 The de-clutch button and the power shuttle allow the operator to shift through all gears and change from forward to reverse without using the clutch pedal. The shuttle response is electronically modulated and adjustable by the operator if required for different tasks.